2017 was another strong year for Computrols. In February, Computrols’ administrative staff moved from the Harvey location to the new facility in Gretna, LA. With the office area still under construction, the team is borrowing space in the manufacturing area for the time being. The 10,000 square foot office space is projected to be complete in the first quarter of 2018. Computrols also added some notable clients over the past year including East Jefferson Hospital, located about 15 miles away from company headquarters. 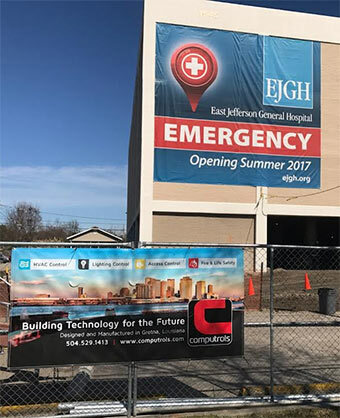 Computrols integrated to the existing Johnson Controls system throughout the hospital’s expansive campus in Metairie, LA. Computrols also completed an HVAC controls integration at the iconic Miami Tower. On the topic of education, Computrols also presented at two conferences this year and a handful of lunch and learns throughout the country. In April, Computrols Marketing Manager, Scott Holstein, presented at the Florida Buildings Engineering & Facility Maintenance Show in Tampa, Florida. 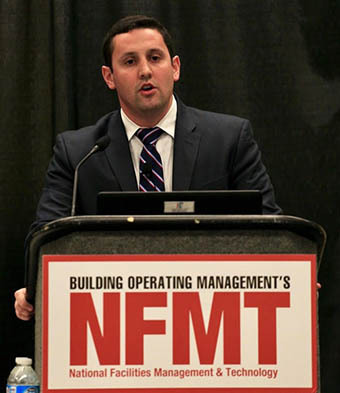 A month earlier, Computrols CEO, Drew Mire, presented at the National Facilities Management & Technology Conference/Exposition (NFMT) in Baltimore, Maryland. 2017 also marked the release of Computrols new LX Controller. Besides a complete upgrade in computing power, these controllers provide better security, a flexible USB port, a cross-platform app for commission and checkout, as well as Computrols’ new WireCheck feature. In January, Computrols will be honored in the inaugural class of UNO25 (University of New Orleans). UNO25 identifies, recognizes, and celebrates 25 high-impact UNO-owned or UNO-led businesses. Both Computrols CEO, Drew Mire, and Director of Research and Development, Mike Donlon, will be receiving this honor as alumni of the University of New Orleans. August 3-5 | Washington, D.C. According to Director of Research & Development, Mike Donlon, 2018 will also bring Computrols first cloud-based software product. He is not ready to release all of the details just yet, but he did say the new product will be an add-on to Computrols flagship CBAS software. Among its feature set will be a platform from which facility managers can view all of their sites, generate analytics, and do template based programming. Perhaps the most anticipated part of 2018 will be the grand opening of the new office that will serve as Computrols world headquarters. Here are some photos of the construction process over the past year.